We Want To Join Your Leadership Development Faculty! After a full day of coaching, keynotes, workshops, and 360 feedback you come to dinner and the head of your BU is up there talking about innovation, experiential learning, and thinking outside of the box. The thing is—she is standing on a stage with a full band rig set up behind her, and as she wraps up the band breaks into their first song. Not long after, it’s you and your tablemates’ turn to get on stage and sing…. This is leadership development curriculum? Face The Music has worked as an integrated part of many major leadership initiatives. We provide a program where participants write, rehearse and perform original songs about the issues, challenges and triumphs in their work as leaders. Our program is a leadership activity that fully engages your group. Participants have reported that the sessions provide an energetic boost while addressing real issues in a creative and innovative format. Leaders are engaged by the uniqueness of the medium to re-frame perceptions and revisit assumptions. The music engages emotion, sound and distinctive experiences that automatically change the framework of the cognitive processes of the participants and the experience becomes an active learning event. Music is also a powerful mnemonic device that makes your program content stick with the participants much longer. Call us to find out how you can integrate this powerful tool into your program design and strategy. Face The Music has worked as an integrated part of many major leadership initiatives. We provide a program where participants write, rehearse and perform original songs about the issues, challenges and triumphs in their work as leaders. Participants have reported that the sessions provide an energetic boost while addressing real issues in a creative and innovative format. Leaders are engaged by the uniqueness of the medium to re-frame perceptions and revisit assumptions. The music engages emotion, sound and distinctive experiences that automatically change the framework of the cognitive processes of the participants and the experience becomes an active learning event. Music is also a powerful mnemonic device that makes your program content stick with the participants much longer. 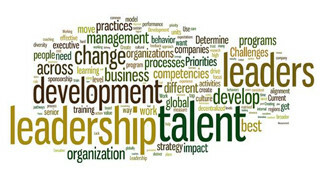 There are also real-time leadership opportunities in the sessions, where leaders are responsible for a specific deliverable (an original song) in a limited amount of time, using limited resources—in other words, a business simulation where they can exercise and develop their leadership skills and receive feedback from those they led and outside consultants. The energy and insights discovered are carried forward as the curriculum unfolds.